A wookie on a skateboard. Skate legends in 70’s retro skate garb. Spicoli, Chewbacca, Tony Alva, Jawa, Steve Van Doren, and Storm Troopers on crowd patrol. All of these elements come together in the promo for the latest Vans/Star Wars collaboration. Check it after the turn. EPM “heading into Tosche Station to pick up some power converters” Out! … fitness, yoga, exercise, sports instruction and coaching. Who knew? 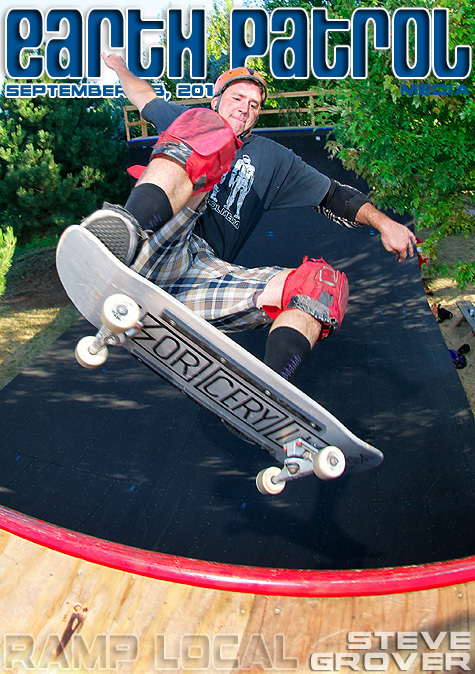 There’s a nice piece on learning to skate featuring Omar Hassan in the mid-bowl at Pier Park. Sure wish they would have opted for the correct spelling when branding their channel though. Check it out after the turn. EPM “Remember kids, stay in school spelling counts” Out! 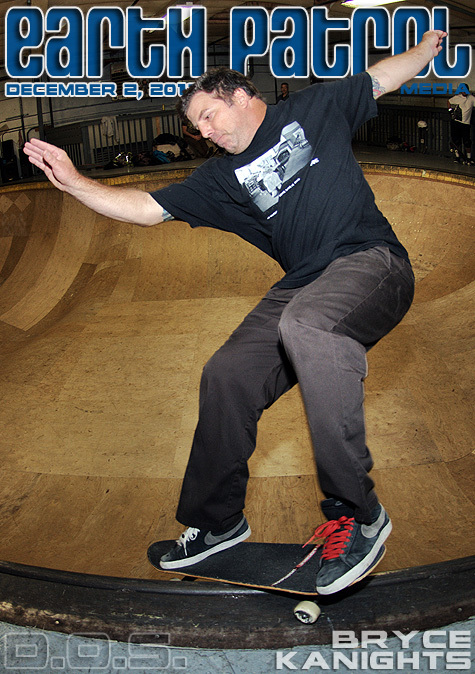 If you skate in the Northwest, an indoor skate bunker is a hot commodity during the wetter months of the year. Taking full advantage of one of those skate bunkers is this week’s Monday Cover skater, Bryce Kanights. That’s one stylin’ smith on the DoS bowl lip. 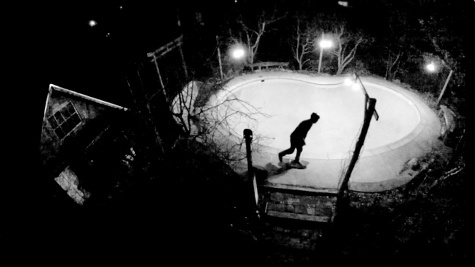 A man with a multitude of irons in the proverbial skateboarding fire( SkateDaily.net, Lifeblood Skateboards, Skaters for Portland Skateparks, Photographer, …), Bryce still finds time to refine his skate chops. Check out a few more pics of Bryce “lofting his jive” at DoS bowl after the turn. Time changes and jet stream fluctuations have led to more time spent surfing the interwebs. 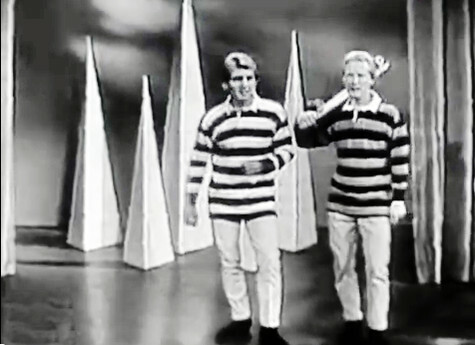 As a result, we stumbled across a sweet little skate related music video featuring Jan and Dean shredding it up on American Bandstand. 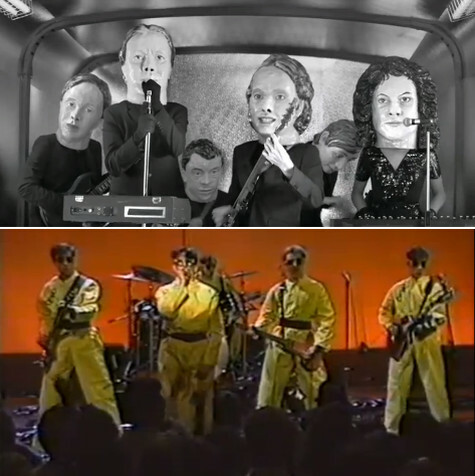 Check it out, along with a few other period music videos, after the turn. EPM “three hundred and sixty” Out! This week’s Monday Cover is dedicated to the Burnside Skatepark and everyone that has made and continues to make it one of the best places on the planet to skate. Dare we say, Skate Mecca. Check out some of the shredding that went down during this year’s celebration after the turn. Interested in donating to the park, click this link to donate. Floating an ollie on his Sorcery stick is this week’s Monday Cover skater, Steve Grover. 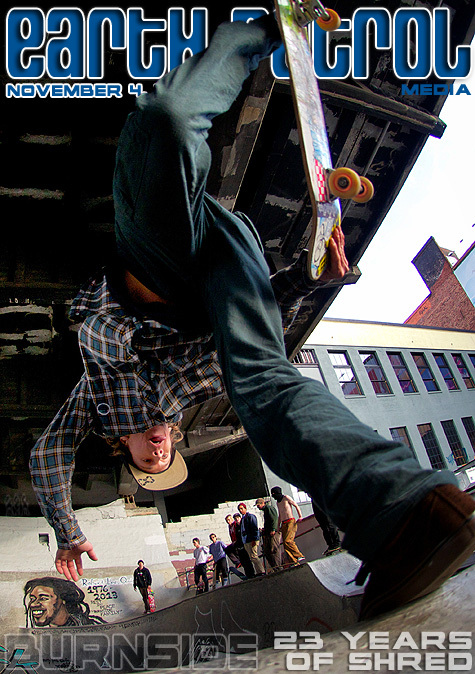 That’s one refined frontside ollie. On the mend from a broken left arm, it’s good to see Steve back in the mix. Check out a few more pics of Steve rehabbing on the vert after the turn. In the skateboard cartoon annals of the Earth, you will be duly enshrined. What does that mean? 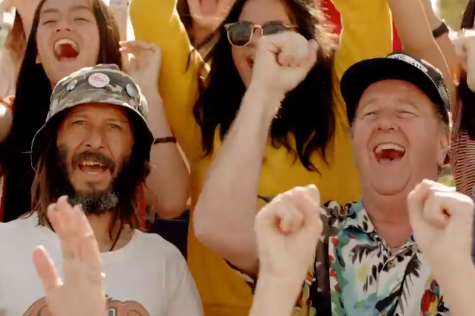 It’s a reference to the most prolific skate cartoonist on the planet, MR. AGP himself, Mark Conahan. Head on over to Antigravity Press for a ride on his cartoon slot machine. Each time you click the banner link, you get a random new AGP post, usually a cartoon. 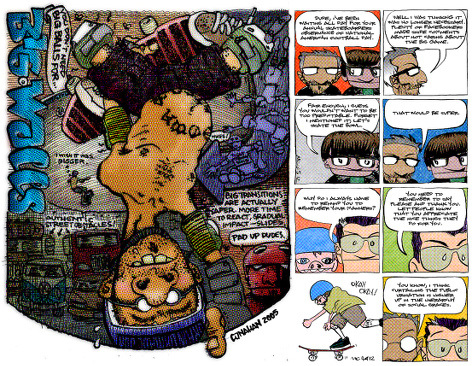 Also, check out his Hopeless Old Men on Skateboards books, available in paper back or digital form while on the site. What are you waiting for? Click here for some skate cartoon randomness.